After browsing through many blogs and websites I have finally booked myself a Australian working visa. I plan on entering the country in September after travelling South East Asia for 2 and a half months. I pre purchased my visa early just so that I knew it was sorted. I wanted to confirm it was granted, that it was paid for and that I had all my right paper work pre-arrival. I spent a lot of time researching what I would need, how I would go about it, the price, where I would buy etc. A lot of the sites I read where from an Americans perspective so I thought I would have my own in put and give my experience and tips. I have broken it down in to smaller chunks, I that it is helpful for you. 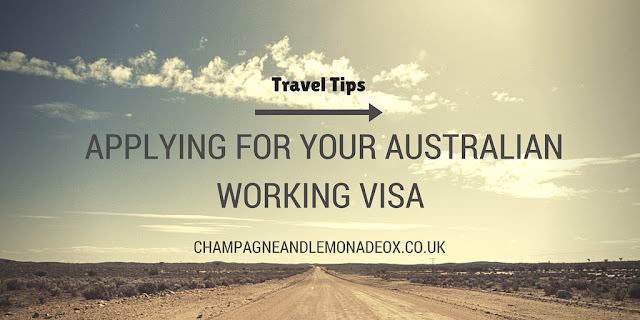 The Lonely Planet | Making the most f your working holiday visa. You have 12 months from buying your visa to enter the country.